Insurance regulation in the United States is at a crossroads. It used to be a given that the insurance industry would resist efforts to move away from state-based approaches toward regulationbut no more. Some now favor a greater role for the federal government, while others oppose calls to transition to a federal system. In any case, might not a competitive and innovative system of free-market insurance be preferable to best serve the interests of consumers? The current debate over insurance regulation is increasingly a struggle between competing interest groups and opposing ideologies about the proper scope of governmenta conflict that affects individuals decisions about how much risk to undertake, whether those decisions involve driving a motorcycle in dense urban traffic or building a home in a flood, fire, hurricane or other high-risk zone. But what types of reforms would best serve the interests of consumers? And what lessons can be learned from previous reform efforts? 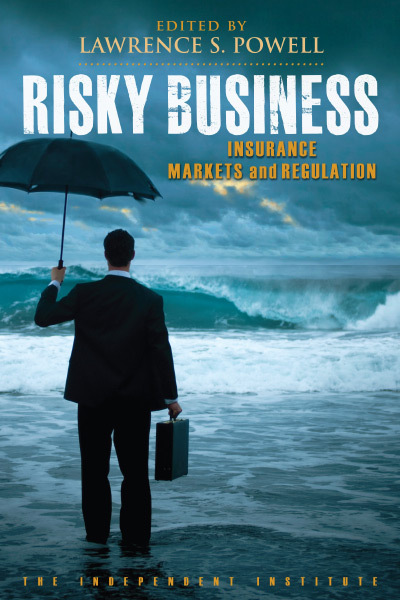 In Risky Business: Insurance Markets and Regulation, edited by Lawrence S. Powell, leading scholars in risk management address some of the most important questions about the future of insurance regulation and the potential for market-based alternatives. The book examines not only the impetus behind various reform proposals, but also the historical development of insurance regulation in the United States. In so doing, Risky Business examines alternative regulatory and deregulatory frameworks used in the United States and in the European Union, and whether such options are beneficial or not. State governments have long been charged with the task of regulating insurance, but a significant segment of the insurance industry would like to shift toward some type of alternative, federal regulatory system. Most life insurers and some larger property and liability insurers, reinsurers, and intermediaries prefer the option of a federal charter or some other mechanism that would streamline the current fragmented system of insurance regulation. Opposition comes primarily from smaller property and liability insurance carriers and brokersand from state governments, which get a large source of their revenue from insurance premium taxes. Consumers pay a high price for heavy-handed regulation of insurance pricing and underwriting that is enacted in their name. When allegedly "pro-consumer" regulation forces prices below the competitive market level, private insurers must either implement unfair cross subsidies or withdraw from the market. In Massachusetts, the regulation of auto insurance premiums had the effect of subsidizing bad drivers and penalizing good drivers. Politicians do far more harm than good when they prevent insurers from adjusting their premiums after hurricanes and other natural disasters. Restrictions on premium increases after a catastrophe can prevent insurers from rebuilding their financial strength and prompt them to exit the market, as occurred in Florida after Hurricane Andrew. A better (but hardly ideal) alternative would be for states to directly subsidize premiums while discouraging new construction in high-risk areas. Most consumers, and society as a whole, benefit when insurers are able to set accurate prices. Insurers' use of credit information in pricing and underwriting insurance is one of the most powerful and accurate predictors of loss. The Federal Trade Commission estimated that so-called "insurance scoring" results in a decrease in insurance premiums of 59 percent of drivers. In addition, the use of credit information in underwriting and pricing has coincided with increasingly robust voluntary insurance markets. The current system of 56 separate jurisdictions in the United States adds billions of dollars in duplicative regulatory costs. By creating a more uniform system, lower costs will be passed on to consumers. Using an efficiency methodology, J. Tyler Leverty estimates that a system of competitive federalism could save as much as $1.2 billion annually compared to the status quo. In a similar study, David Eckles and Lawrence Powell estimate that the efficiency gains from uniform regulation would amount to potential savings of $3.19 billion to $5.27 billion per year for insurance consumers. Insurance is a subject infamous for inducing apathy and acute drowsinessexcept when disaster strikes and people insist that their claims be paid promptly. Then the boring subject of insurance becomes imbued with all of the drama that accompanies automobile collisions, fires, floods, hurricanes, and other catastrophes. Insurance regulation is also a fascinating subject because it involves struggles between competing interest groups and opposing ideologies about the proper scope of governmentconflicts that affect individuals decisions about how much risk to undertake, whether those decisions involve driving a motorcycle in dense urban traffic, building a home in a flood zone, or any other activity for which insurance can be purchased. Today insurance regulation in the United States is at a crossroads. It used to be a given that the insurance industry would resist efforts to move away from a state-based approach toward regulationbut no more. Some segments of the insurance industry now favor a greater role for the federal government, and although other stakeholders oppose calls to transition to a federal system, the winds of change appear to be on the horizon. In Risky Business: Insurance Markets and Regulation, edited by Lawrence S. Powell, leading scholars in risk management address some of the most important questions about the future of state and federal regulation of the insurance industry. The book examines not only the impetus behind various reform proposals, but also the historical development of insurance regulation in the United States. In addition, Risky Business examines alternative regulatory frameworks used in the United States and in the European Union, and thereby increases the number of options that reformers may wish to consider. Insurance is too important to society and to commerce to be left as a political pawn, Powell writes in chapter 1. Insurance regulation, long the purview of state governments, has become politicized, Powell explains. This is largely because too few consumers are capable of calculating the value of insurance and because too many elected officials find it tempting to exploit the widespread belief that insurance costs too much. Politicization of insurance regulation is counterproductive when it undermines the ability of insurance companies to rationally pool, transfer, and subdivide risk. These essential pillars of risk management, Arnold Kling explains in chapter 2, were evident in the operation of perhaps the first modern insurance company, the Royal Exchange Assurance, a marine insurance organization chartered in Britain in 1720. Unlike shipping companies with a limited number of vessels in their fleet, Royal Exchange successfully pooled risk from several shipping firms, thereby reducing the average payout. After discussing the origins and economics of insurance, Kling examines anomalies in the insurance market and the government provision of insurance. Insurance reform is a risky business because insurance companies and politicians have vastly different time horizons: insurers worry about catastrophic losses that might occur once every few decades; politicians, about the next election. Reforms that might appeal to a politician therefore might harm insurers and ultimately their customers. Consider insurance reform in Florida after Hurricane Andrew in 1992. Insurers were prohibited from raising premiums, making it hard for them to re-build their loss reserves, as Martin Grace explains in chapter 3. Insurers responded to this prohibition by exiting from the Florida market. The stateowned Citizens Property Insurance Corp. found itself underwriting policies for more than 50 percent of the houses in the state. The regulation of automobile insurance rates in Massachusetts offers another example of harm from rate regulation. Unintended consequences can also arise when state regulations limit the information about consumers that insurers may wish to sue. In chapter 4, Lawrence S. Powell looks at the effects of prohibitions against insurance scoringthe use of personal credit ratings in insurance pricing and underwriting. Studies going back to 1949 show a positive correlation between credit histories and insurance claims; apparently consumers who pay their debt payments on time are less likely to file insurance claims. Powell shows that credit-based insurance scores actually benefit customers by making more insurance available without increasing price. What do the empirical data suggest about the effects of rate regulation? In chapter 5, Patricia Born and Barbara Klimaszewski-Blettner provide evidence that consumers benefit when rate regulation is limited. Following unexpected catastrophes, personal lines of insurance (e.g., homeowners and automobiles) are subject to more rate regulation than are commercial lines. Insurers therefore find it harder to restore their capital reserves for homeowners and auto insurance than for the less regulated commercial lines. This difficulty can make it uneconomical for insurers to sell homeowners and auto insurance and lead to shortages. The National Flood Insurance Program illustrates other unintended consequences from misguided government policy. Many analysts have assumed that the program was created to address a market failure, but as Eli Lehrer explains in chapter 6, political considerations were paramount in its creation: lobbying by state and federal bureaucrats at several agencies served to make proposals for federal flood insurance palatable to Congress. Although the program originally included risk-based features, Congress subsequently removed them and strengthened the subsidy element. The program also undermined the development of private flood insurance, Lehrer argues. The states have regulated the insurance industry for about 150 years. 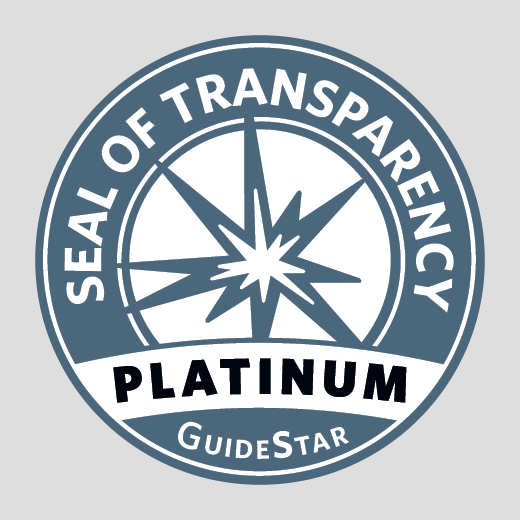 Since 1945, the industry has been protected from federal price regulation by the McCarran-Ferguson Act, which exempts insurers from federal antitrust laws. Although state governments and the insurance industry had long been united against federal regulation, many insurers now see this as preferable to the burden of multistate regulation. Some insurers now favor an Optional Federal Charter (OFC). In chapter 7, Martin Grace and Robert Klein compare the status quo to an OFC and other alternatives, such as a unified federal regulatory system and a system of competitive federalism, in which insurers may choose one state to regulate them throughout all 50 states, as occurs in corporate law today. Although each of those alternatives offers advantages, Grace and Klein argue that smaller incremental changes at state and federal levels are more likely in the near term, but that such changes could set the stage for a major overhaul when a more politically favorable climate emerges. Can insurance reformers in the United States learn anything from the European Union? Yes.In chapter 8, Martin Eling, Robert Klein, and Joan Schmit suggest that the most important lesson from Europe is the notion of a principles-based approach to insurance regulation. They encourage regulators to look closely at the EUs Solvency II process when revising the U.S. system. They also note the strong case for avoiding price regulation in any new regulatory structure. The last two chapters of Risky Business estimate the costs of the current system compared to alternative arrangements. Insurers in the United States are subject to as many as 56 different regulatory regimes. In chapter 9, David Eckles and Lawrence Powell find that the efficiency falls as the number of regulators increases. They estimate that if insurers were subject to one uniform system, efficiency gains would amount to a potential savings of $3.19 billion to $5.27 billion per year for insurance consumers. Although most insurers are regulated by each state in which they conduct business, a small subset of specialized firms, risk retention groups (RRGs), are subject to regulation by a single state no matter how many states they operate in. In chapter 10, J. Tyler Leverty compares the operating expenses of RRGs to similar insurers operating under a traditional charter. This comparison provides a basis for estimating the potential cost savings from implementing a competitive federalism system. Leverty estimates that a system of competitive federalism could save as much as $1.2 billion annually compared to the status quo. Lawrence S. Powell is a Research Fellow at the Independent Institute and the Whitbeck-Beyer Chair of Insurance and Financial Services and Associate Professor of Economics and Finance at the University of Arkansas at Little Rock (UALR).